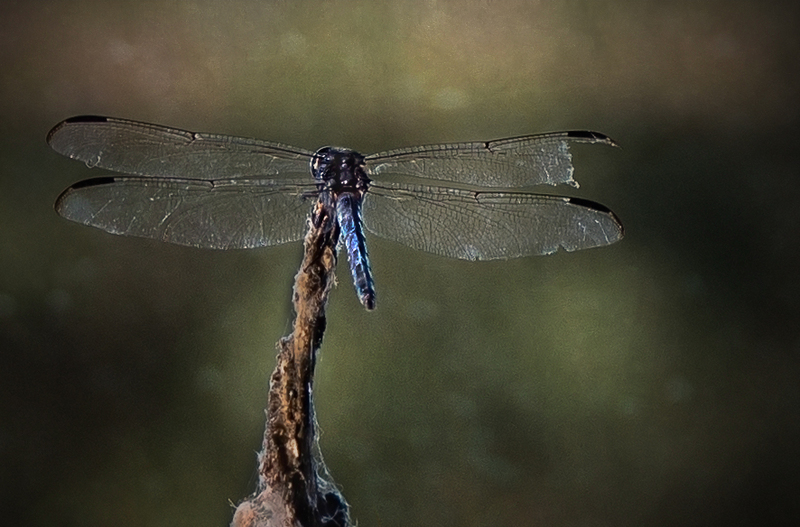 I read an article on Digital Photography School about photographing dragonflies. That sounded fun! Steve Berardi from PhotoNaturalist pointed out that their “bright contrasting colors make them really stand out in their natural environment, and their large size makes them easy to photograph with a standard telephoto lens.” Super, I thought. I know just where to find some! A friend and fellow photographer joined me at a nearby lake early one Saturday morning to try our hand at photographing these flying insects. We were in luck…they were everywhere! At first they flew past us lazily, perching on a cattail or leaf for a few seconds or so. Then as their wings began to warm in the sun, they got much faster – quickly darting from place to place – and making it much more difficult to photograph. One thing I noticed during this small adventure was that I had to sit quietly and move very slowly as not to scare the dragonflies. 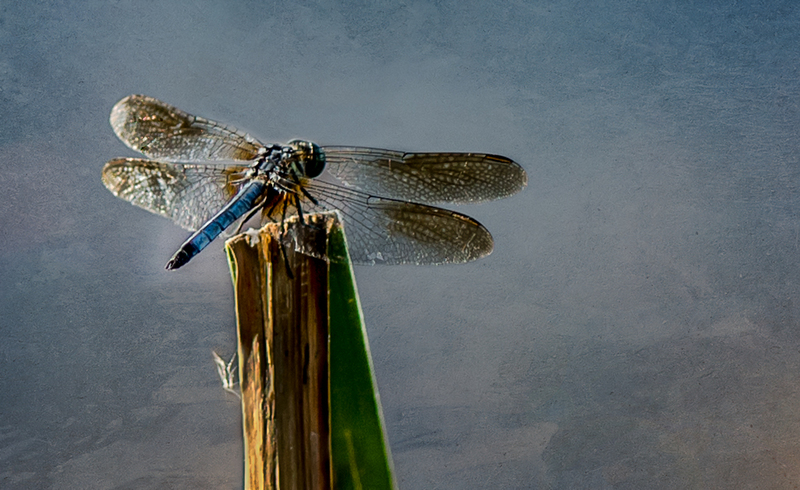 This gave me time to notice the small things around me…the way the dragonflies flew the same pattern over and over again…the fluffy heads of some of the cattails…the various colors of the insects from brown to iridescent blue. I didn’t come away with a lot of good images of these flying beauties. Most of them were out of focus and I definitely wasn’t close enough. It’s going to take a whole lot more practice and patience! What I did accomplish was a morning photographing nature (which doesn’t come very often these days) and spending time with a friend sharing our mutual passion for photography! A little digital painting and added textures on a couple of photos I took that day. National Geographic worthy!! Very good. Very nice. I love dragonflies.